Voice interactions with technology are becoming a key part of our lives — from asking your phone for traffic conditions to work to using a smart device at home to turn on the lights or play music. 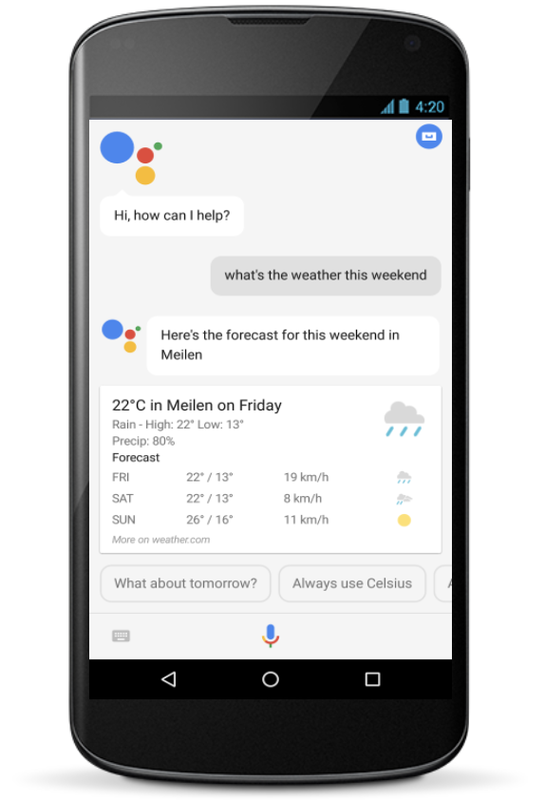 The Google Assistant is designed to provide help and information across a variety of platforms, and is built to bring together a number of products — including Google Maps, Search, Google Photos, third party services, and more. For some of these products, we have released specific evaluation guidelines, like Search Quality Rating Guidelines. However, the Google Assistant needs its own guidelines in place, as many of its interactions utilize what is called “eyes-free technology,” when there is no screen as part of the experience. In the past we have received requests to see our evaluation guidelines from academics who are researching improvements in voice interactions, question answering and voice-guided exploration. To facilitate their evaluations, we are publishing some of the first Google Assistant guidelines. It is our hope that making these guidelines public will help the research community build and evaluate their own systems. For many queries, responses are presented on the display (like a phone) with a graph, a table, or an interactive element, like you’d see for [weather this weekend]. But spoken responses are very different from display results, as what’s on screen needs to be translated into useful speech. Furthermore, the contents of the voice response are sometimes sourced from the web, and in those cases it’s important to provide the user with a link to the original source. While users looking at their mobile device can click through to read the original web page, an eyes free solution presents unique challenges. In order to generate the optimal audio response, we use a combination of explicit linguistic knowledge and deep learning solutions that allow us to keep answers grammatical, fluent and concise. The current version of the guidelines can be found here. Of course, guidelines are often updated, and these are just a snapshot of something that is a living, changing, always-work-in-progress evaluation! This entry was posted in Research Blog and tagged Information Retrieval, Research, Search, TTS, Voice Search on December 21, 2017 by Research Blog.